Kick it up a notch in 2019! 2019 has finally arrived, and with a new year comes new trends, technologies and innovations. 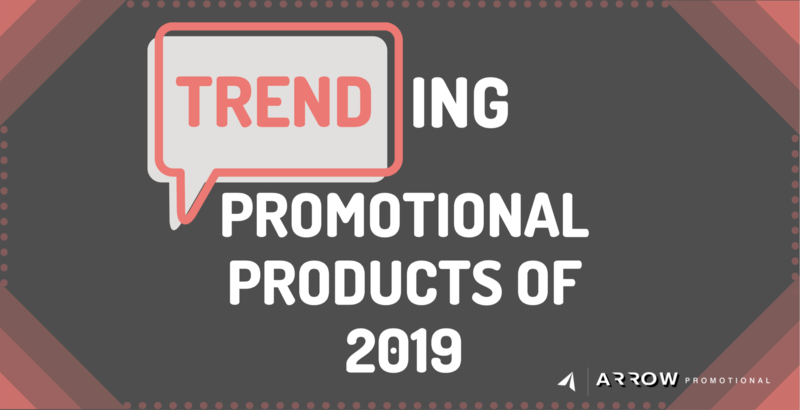 Lucky for you, we’ve made comprehensive list of all things trending in the promotional product industry for 2019. These trending items will help you win over prospective (and maintain current) customers. Since they will display your logo, the trending products will not only grab others’ attention because of its popularity, but will also promote your company. Air Pods were a trending gift in the 2018 holiday season, and they created a huge social media buzz. 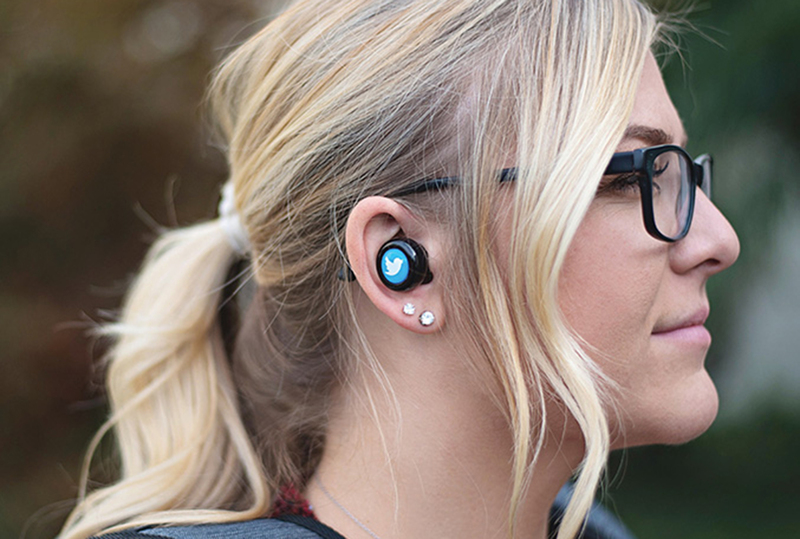 These wireless bluetooth earbuds will continue to increase in popularity throughout 2019. They serve as a fabulous higher-end gift and will certainly impress the gift recipients. Headphones have always been a popular promo item, but the bluetooth and wireless features takes these to the next level. Wireless charging is a relatively new function for today’s most popular smartphones and a feature that is expected to become very popular very soon. Stay on top of what’s trendy in phone technology and incorporate wireless charging into your marketing strategy. How might this be possible? With promotional products of course! 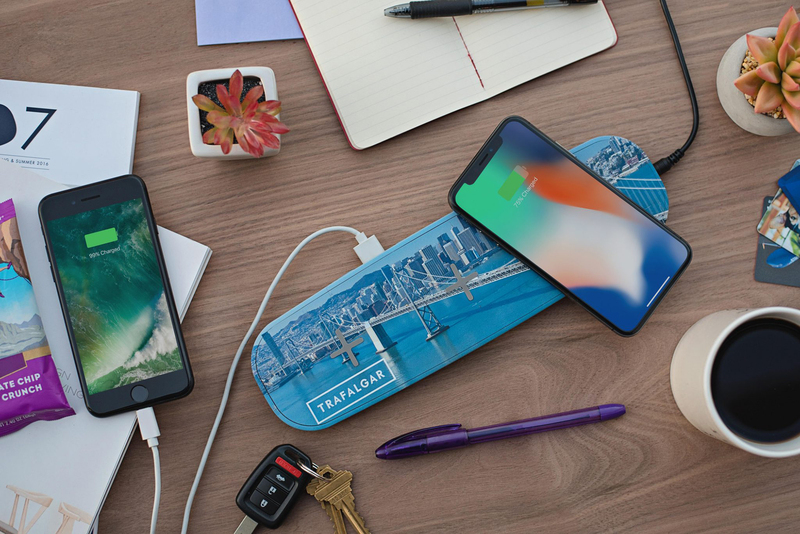 This wireless power bank in particular can help fuel your phone and promote your brand at the same time. It has both a USB charging port in addition to its wireless charging feature which allows you to charge two devices simultaneously. Want to incorporate wireless charging but not sure what type of phone your audience has? Lucky for you, this item solves that problem completely. 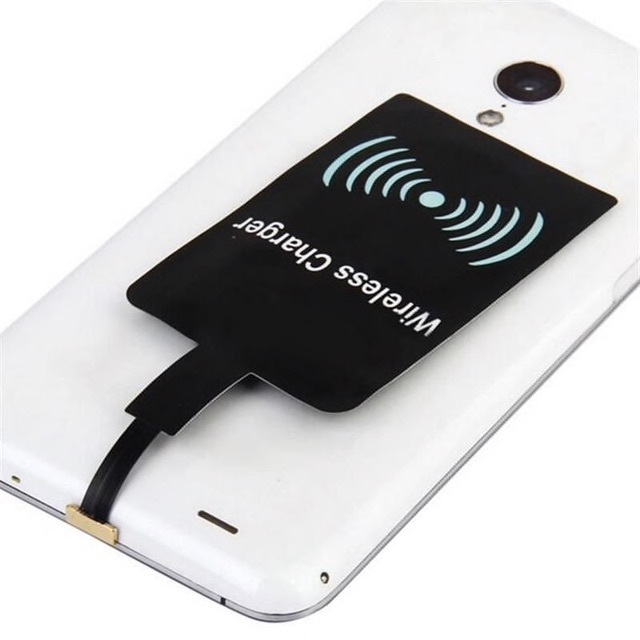 When you purchase this converter, you'll be able to accommodate every smartphone user! This item features a tip that can be inserted into a smartphone charging port to enable wireless charging capability. So if a smartphone is too outdated to charge wirelessly on its own, you can give it the capability to do so. 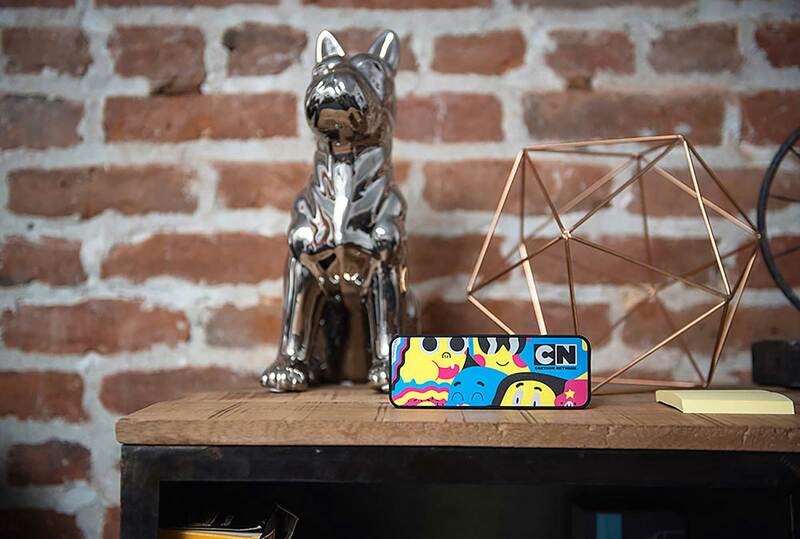 Play your music and promote your brand with a wireless bluetooth speaker! These are one of the hottest items right now, and continue to increase in popularity. They are incredibly convenient due to their small size, and they make fabulous gift and giveaway items. Don't forget to order your very own before your next event or any other occasion! In 2018, more and more businesses eliminated the use of plastic straws and implemented the use of reusable straws. This environmentally-friendly trend has continued into 2019, as reusable straws become increasingly popular. These straws are beneficial to the environment because they create less waste and pose very minimal threat to wildlife. 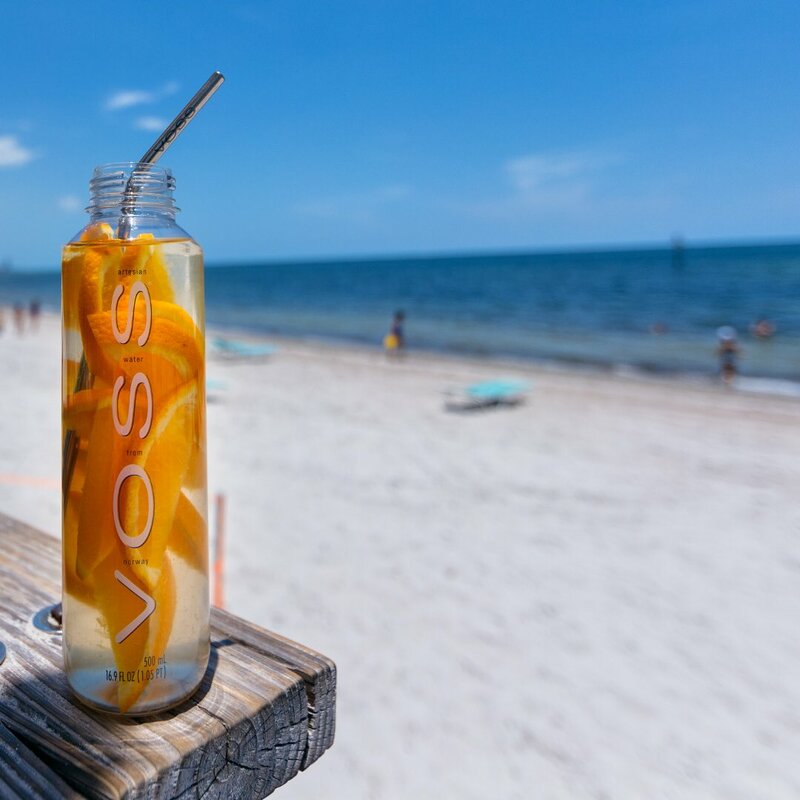 Branded reusable straws are not only a great way to follow the newest trends, but they also send a message to consumers that your business is making an ecological effort of sustainability. If you didn’t know already, scrunchies are back IN! 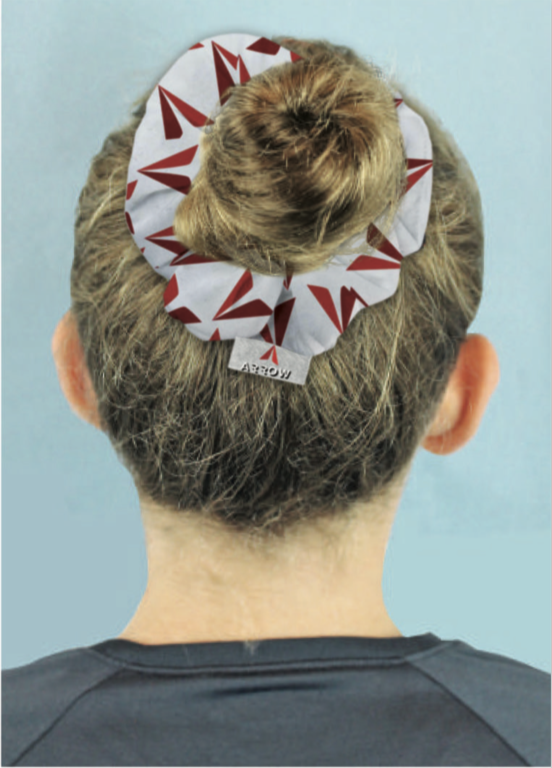 The timeless hair-tie is useful for creaseless updo hairstyles. For many people with long locks, scrunchies are a go-to way to tie back hair. 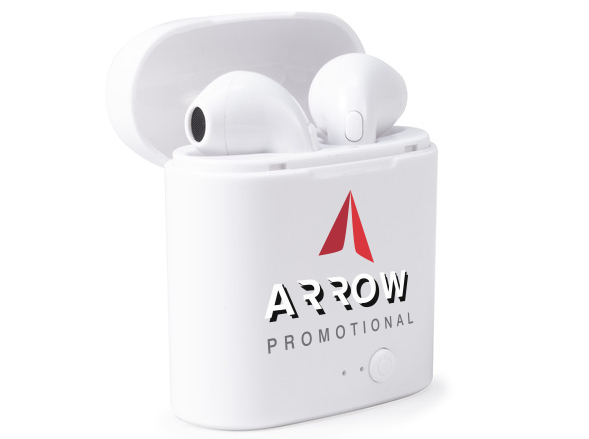 They create brand visibility through a practical, useful item that is part of many people’s everyday routine. 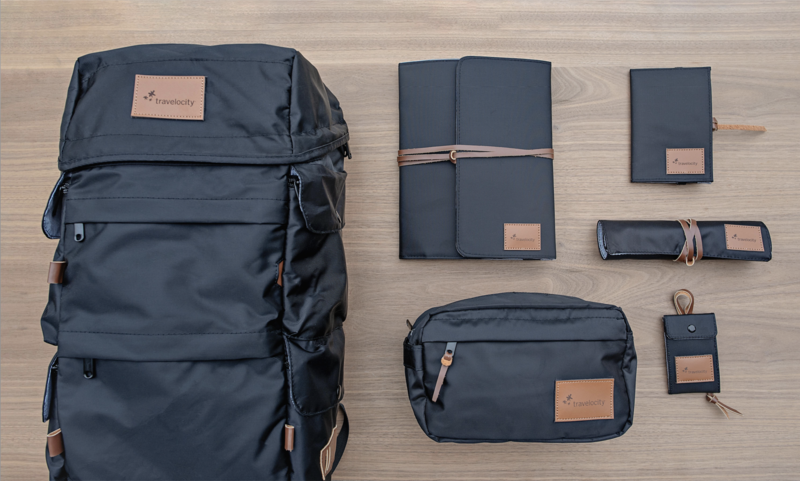 Onboarding kits are packages of company swag that are given to new employees when they start at an organization. They are becoming more popular, and more elaborate, as company culture becomes more and more important in our society. 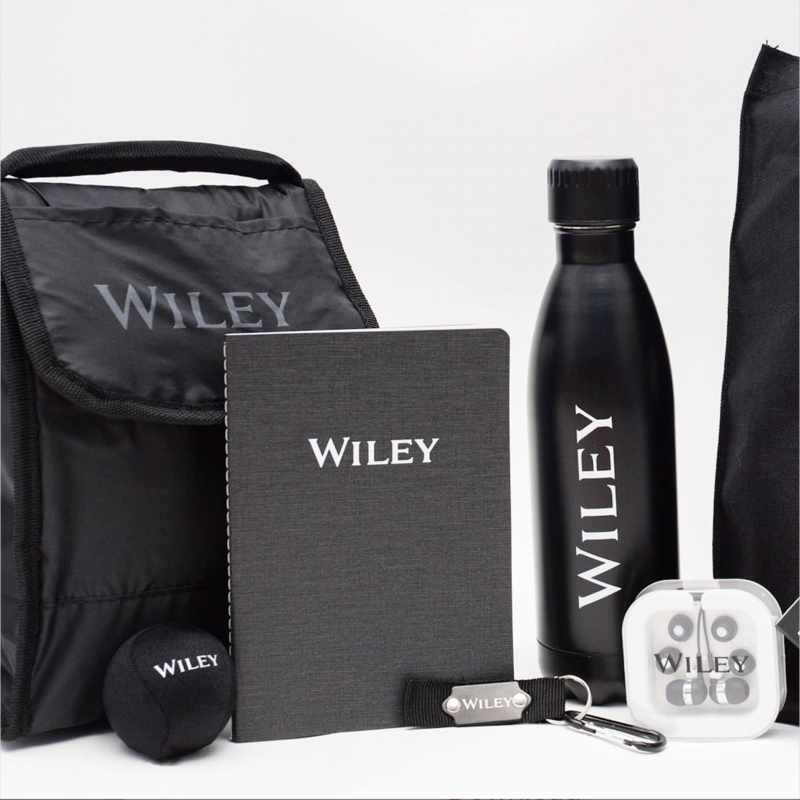 These kits can include anything from branded apparel to tech gadgets and everything in between! Onboarding kits are a great way to make your new employees feel welcome. Travel bundles are kits containing several travel-related products. These products are customized with a company’s logo, and are meant to flaunt your brand on-the-go. Travel bundles give your company the opportunity to gain brand exposure in new and different locations! Pantone announced that their 2019 Color of the Year is Living Coral (16-1546). Pantone describes the color as "inspires experimentation and playful expression," which we love here at Arrow Promotional. Ask us how you can incorporate the color of the year into your swag! Customization is all the rage! Customize your promos to the next level with products that are molded to whatever exemplifies your brand the most. 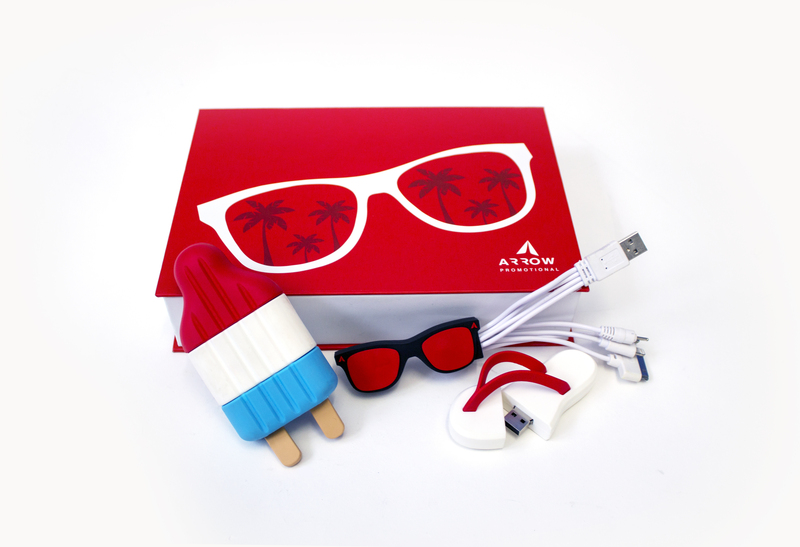 For example, the package pictured includes a molded power bank (popsicle), charging squid cable (sunglasses), and USB drive (flipflop). Think outside the box--even down to the box the products come in! Custom packaging adds an extra pizzazz to your gift. These items are sure to grab the attention of prospective clients and customers, but they are just a step in the right direction. There are countless promotional products to choose from that can take your business to the next level. Need some guidance deciding which promotional products are right for you? Contact us and we will work closely with you to get exactly what you're looking for based on goals, needs, budget, and timeline.